I'm honored to be hosting the Best of the Betes Blogs for this month, featuring some of the great writings of the DOC during October. But while this is me hosting this monthly treasure this round, it's not about me... but the We. It's about all of us in this D-Community sharing, connecting, and just spreading the good word -- as in the real side - of life with D.
As always, it's great to find friends in the D-Community, both new and old ones, who have shared some insight about life with diabetes -- whatever the category may be. So, without further ado, I'll highlight some of those that caught our collective eye this past month. Renza in Australia, who blogs at Diabetogenic. Yes, you'll want to get this smile from her post called "The Greatest Advancement in Diabetes." Kim at Texting My Pancreas shares some real emotion in this video blog, A Minute. We didn't have any nominations for this particular category, but given that November is now National Diabetes Awareness Month, I thought it'd be great to just mention the American Diabetes Association's theme this year: Cooking to Stop Diabetes. 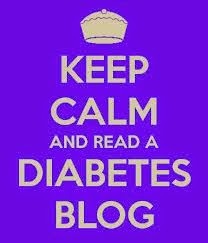 And yes, the ADA blog, Stop Diabetes, had a post on this in late October. Of course, I also always turn to A Sweet Life when I'm looking for D-recipes penned and suggested by my D-peeps. Melissa Lee is More Than a Number, and her photography in this post at Sweetly Voiced rocks illustrates that message perfectly! Jenn over at Young, Fun and Type 1 did some outstanding advocacy by talking to her local news station about a recent diabetes research advance. This is a special one not only referencing a D-celeb, but written by a D-celeb -- IndyCar driver and fellow Type 1 Charlie Kimball. Charlie wrote a post marking his diaversary in October, which just happened to come on the heels of Charlie getting married to his high school sweetheart! Congrats to you both, Charlie and Kathleen! Ground Control to Major Tom... yes, thanks to this awesome D-Meetup post by Heather Gabel, that David Bowe tune "Space Oddity" is now stuck in my head. But it's totally worth it, to read about the experience of meeting another PWD while also being able to "share the love" through a little on-the-spot advocacy. Jenn believes You Are Worth More, and her post over at Sweet Zoo is worth a read. Go on, click over. Living one day with T1D can be challenging, but on Halloween Kelly Kunik marked her 37th diaversary. And over at her diabetesaliciousness, K2 focused on the positives with a fun list of 37 items she has observed and felt through all her years with D.
Kate at Sweet Success wants you to know: Diabetes is not to be ignored. Neither is this post from her. No nominations came in for this category, but I couldn't help but remember this post that stood out to me from October -- because it's a guest-post from my own dad, who not only rocks the D-Dad role but also is a D-Husband to my mom who's been Type 1 for more than a half-century. He wrote that over at D'Mine. Love you, dad. Tina at Stick With It Sugar endured a scary situation recently, and I was literally on the seat of my chair reading about how this whole thing transpired. And how can you not read a post with the title, "Purple Because Aliens Don't Wear Hats"...?! Motivate this, Motivate That... yep, that's certainly what Alanna at Life on T1 has done with her post Being Balanced Is Key. Jennifer at Despite My Pancreas wrote a post about The Edge as to her yoga, but it wasn't until you read through the comments you got to see the true impact this post had on people in our D-Community by inspiring them to begin or re-start their own yoga adventures! OK, there are 2 awesome art-related DOC efforts that got attention this past month - they both just had to be included here! Make Your Own Betes! Ginger Vieira has this post on Diabetes Daily about a TuDiabetes video chat that took place on Oct. 22, featuring the TheBetes.org. Hand in Hand, Art for Diabetes: This post from late October highlights a creative and cool initiative spearheaded by the great D-wife of our DOC leader Manny Hernandez, and it includes a trio of well-known diabetes bloggers -- Manny, Scott Johnson, and Kerri Sparling. So, that's the DOC wrap for October. Don't forget, you can snag a Best of the Betes Blogs box and show it off proudly over on your own site. Thanks for being a part of this awesome Diabetes Online Community, and doing all you do. 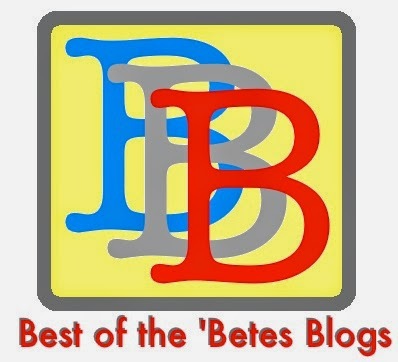 All of these are worthy Best 'Betes Blogs winners! And there are a couple there I haven't seen yet, so I'll be checking them out soon. Honored to be included here! Thank you!